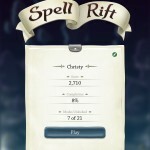 Spell Rift for iPad ($2.99) by Kieffer Bros. is the latest word game to hit the App Store from a talented development studio. 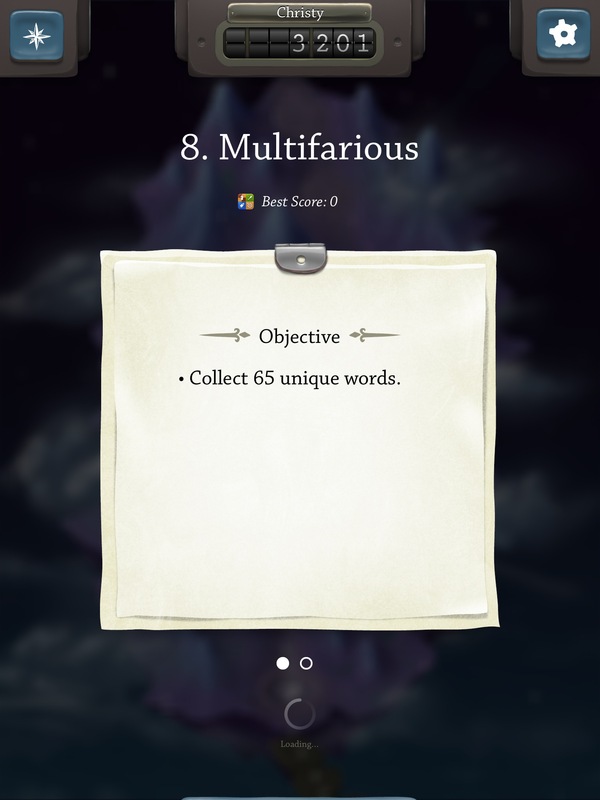 With previous gems like Blockwick, Monster Soup, and Aqueduct, I'm pleased to see the brothers back at it again, this time with a beautiful word game. 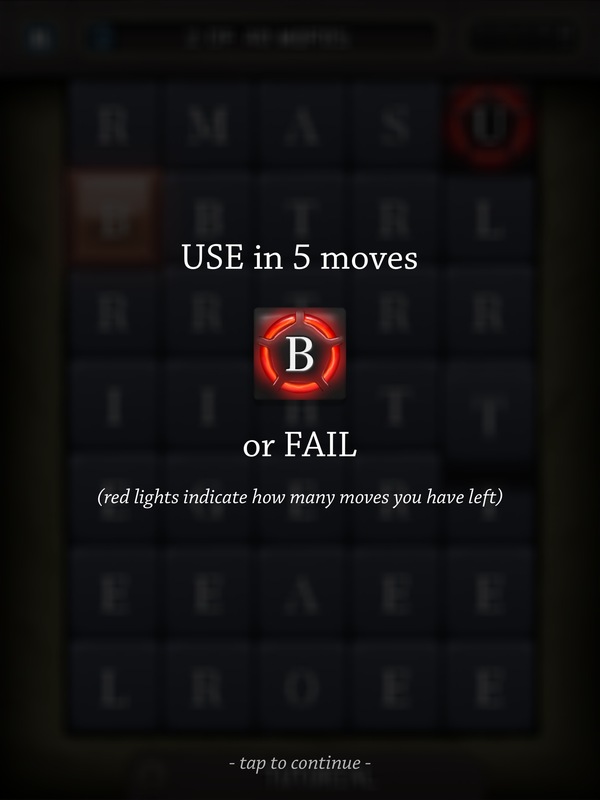 Even though the latest multiplayer word game craze appears to be Letterpress from Loren Brichter, that doesn't mean there isn't room for a single-player experience. 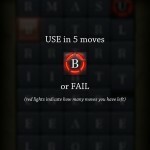 This is what Spell Rift is, and it really delivers. 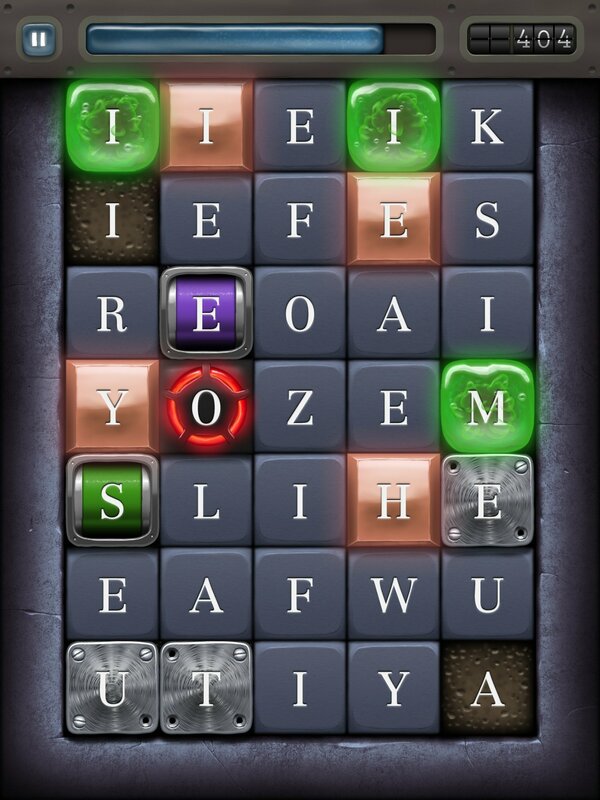 Just like their other games, Spell Rift is downright gorgeous. 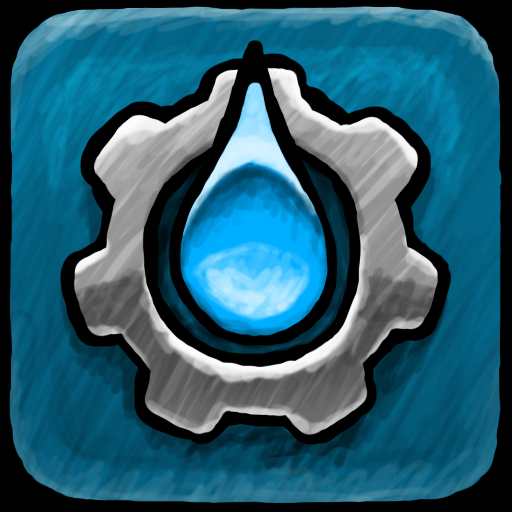 From the moment you launch the game, you can tell that there was a considerable amount of care put into it. The menu looks amazing, the maps are incredibly detailed, and the game board and letter tiles look like they are popping off of the screen. 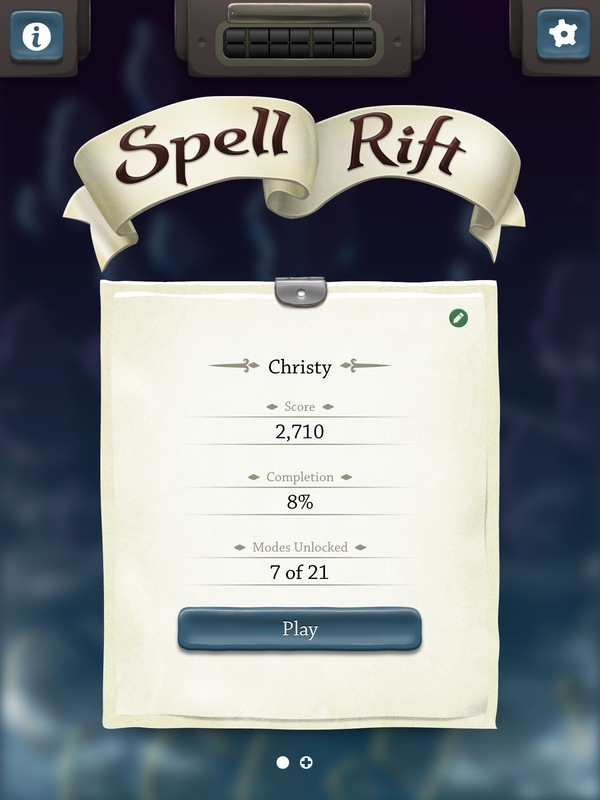 Spell Rift also features some smooth, calming tunes that will definitely put you into the mood to think about words. It all just goes so well together. 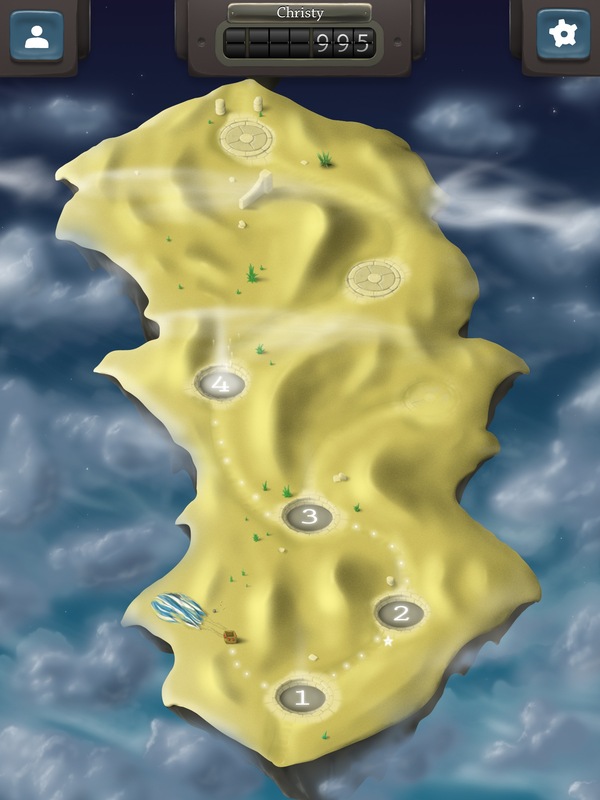 In the game, you must navigate your way through the Rift as you search for the fabled “Well of Words.” There are different lands for you to explore, each with a set of levels. 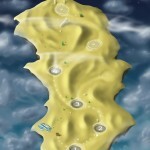 In order to unlock each stage, you will have to clear the previous one. 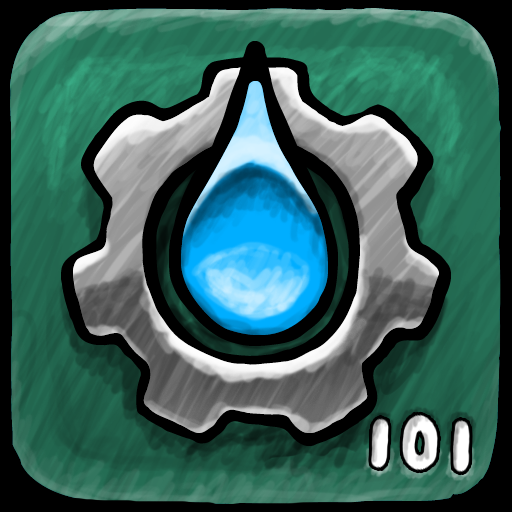 Each stage will have a certain objective, such as “Clear 150 tiles,” “Create 40 unique words,” or even “Clear 25 locked tiles,” so each level is fresh and interesting. 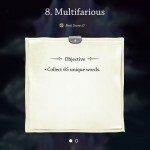 In addition to having these specific objectives, there are three additional goals to strive for, which you can view by swiping to the next page. 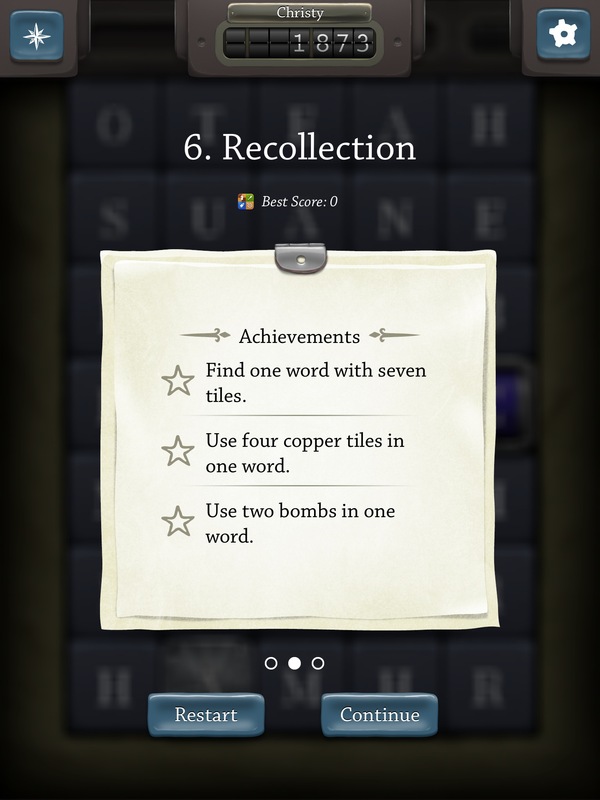 These will include items like “Make a word out of seven tiles” or “Use two bomb tiles in one word.” They can be pretty challenging, but that’s what makes it great. 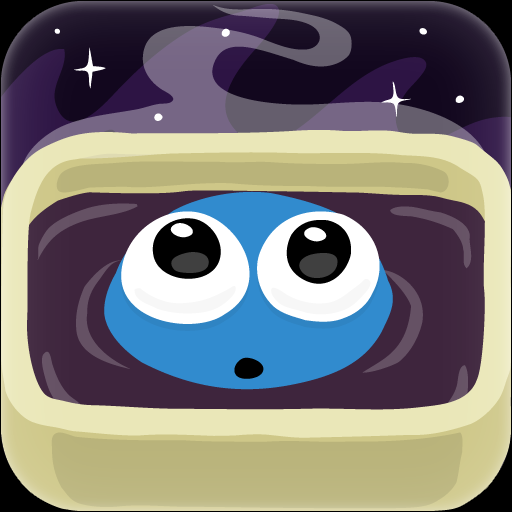 It’s recommended to view these additional goals before starting a level so you know what to do. 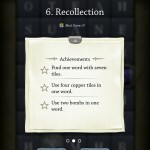 Creating words is as easy as they come. 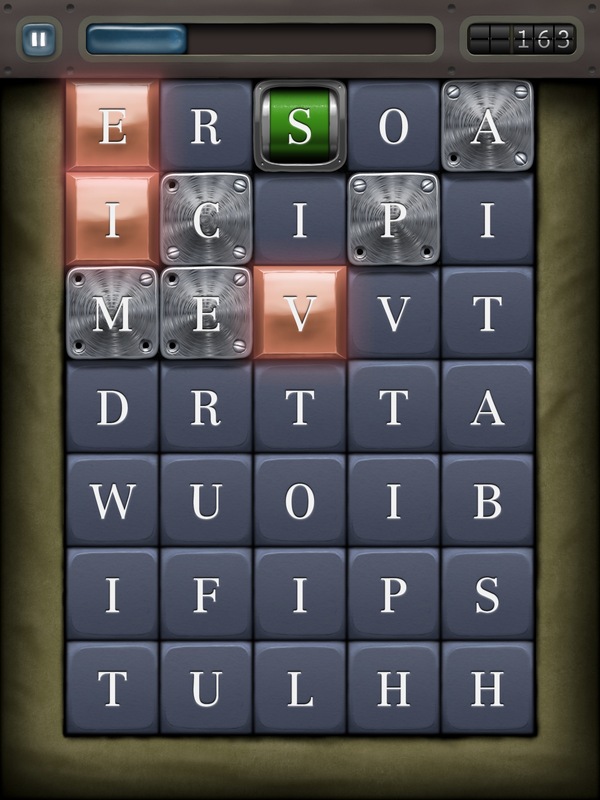 Just swipe your fingers over tiles — if a word can be made with them, there will be an indicator that it’s okay to submit. 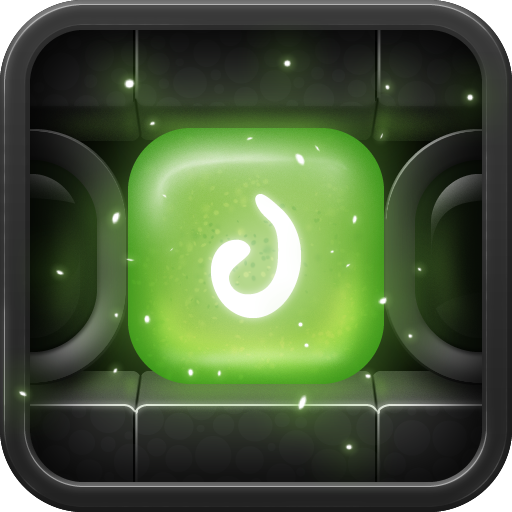 As you progress through the game, new blocks will be introduced. 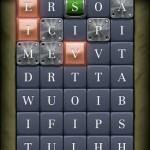 There are plenty to find, such as: stone blocks that won’t go away and can be used as many times as you want, bombs that will explode after a certain number of moves, virus blocks that spread to adjacent letters, spinning tiles that change letter with each move, and locked tiles that must be cleared out before it can reveal another block underneath. 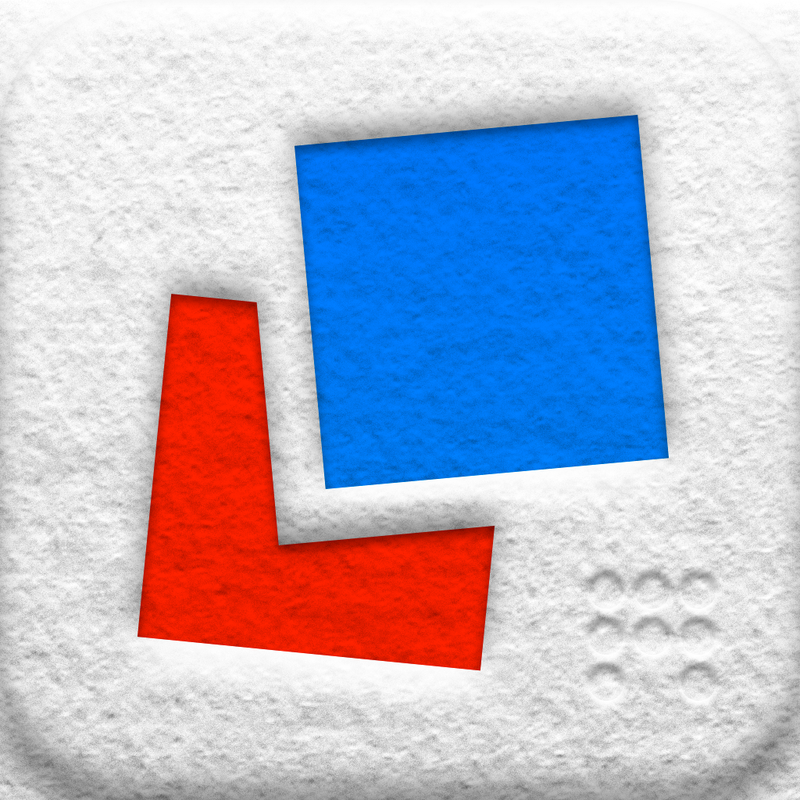 There are plenty of blocks to discover, and each will definitely put you to the test in your vocabulary prowess. 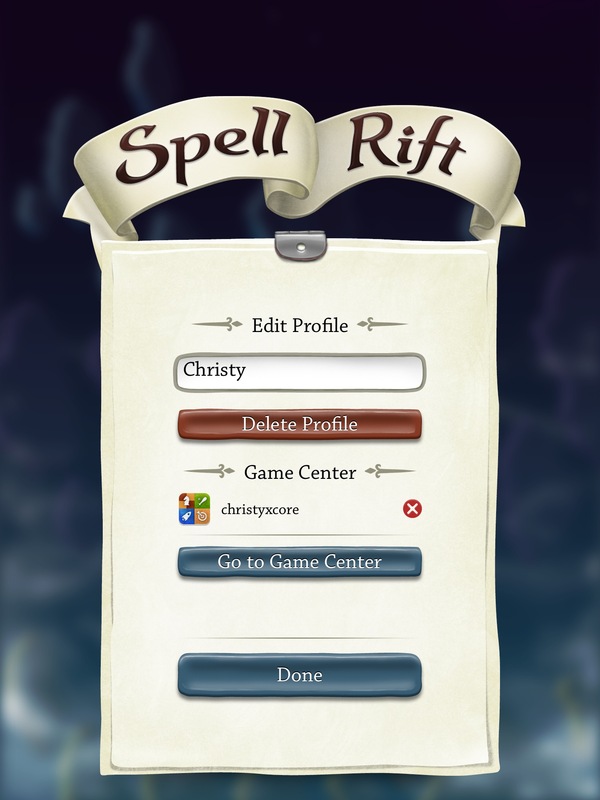 Spell Rift allows for multiple “quests” to be played on a single device, so this is great if you share your iPad with the family or friends. 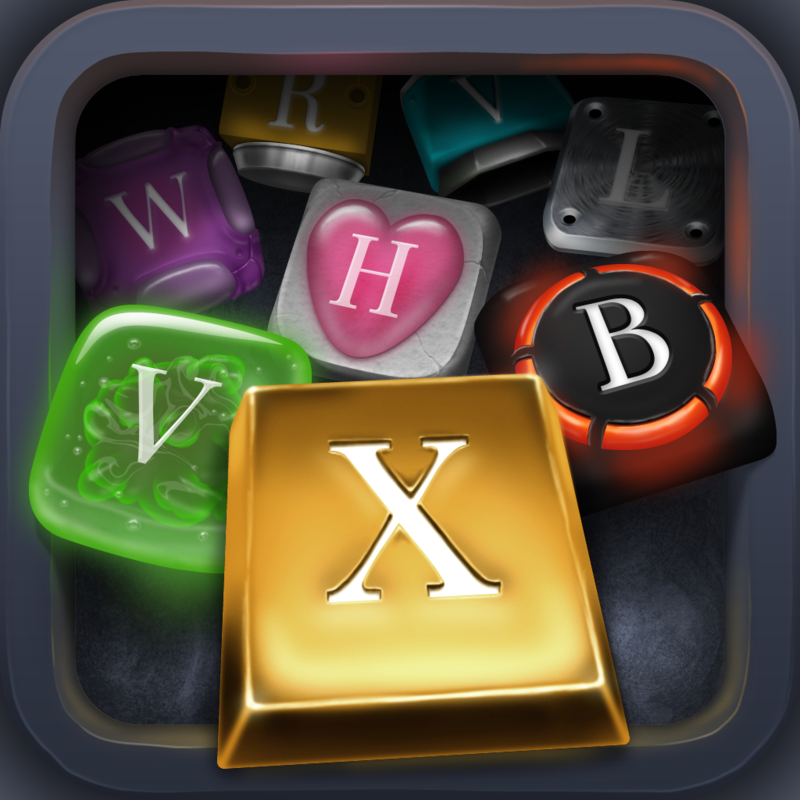 There is also Game Center integration for leaderboards and achievements. I highly recommend checking out Spell Rift on your iPad if you are looking for an immersive single player word game experience. This is definitely another hit from the Kieffer Bros, and I look forward to what these guys have in store in the future. 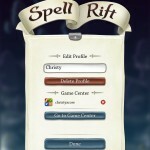 You can get Spell Rift for your iPad for only $2.99 in the App Store.